Get ready to join Mickey and friends on their most amazing adventure ever - a new movie classic inspired by Disney;s Alice in Wonderland! Don't be late for a very important date: Daisy's surprise birthday party! Her present is a magical cuckoo clock, and when the cuckoo bird flies away, Mickey and Donald set off through a fairytale wonderland to find him. Will they choose the right mouseketools to locate Cuckoo and get home in time? Find out as you set off on a remarkable journey. Meet Tweedle Chip, Tweedle Dale and Goofy Hatter, play croquet with Queen Clarabelle, and more! 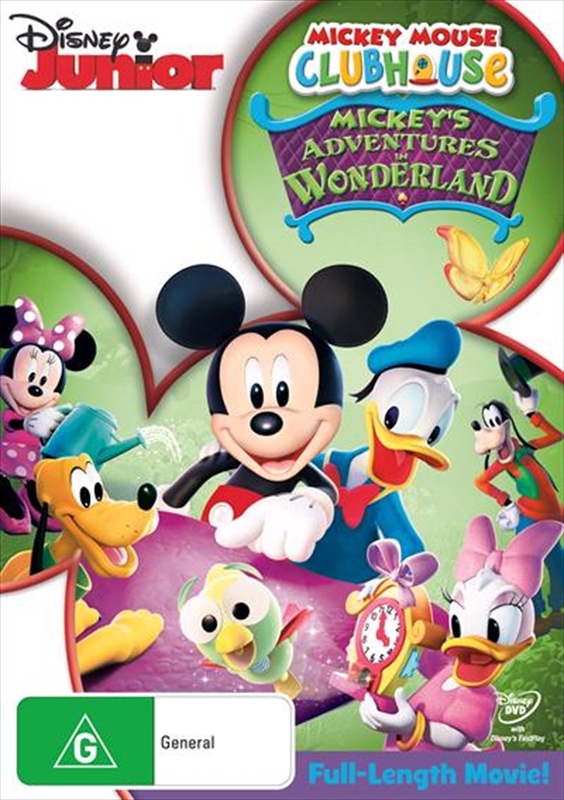 Packed with friendship, laughter and surprises, Mickey's Adventures in Wonderland is topsy-turvy fun for everyone!